This sponsorship includes booth, one minute spotlight, shout-outs before during and after the event, logo on marketing material, 2 VIP tickets with mentor meal selection of your choice. Create National Buzz & Generate a Massive Fanbase for Your Business! Do you have a story or powerful message that needs to be heard in the world? Is it your dream to be featured in major magazines and newspapers? If you are a small business owner saying YES!!! -- you are in the right place! Getting published in high-authority publications and websites is the fastest way to generate massive buzz around your business and to leverage yourself as the expert in your industry. AND, it’s not as difficult as you might think! Most small business owners don’t know where to begin when it comes to seeking press opportunities. We break this all down & make it really easy and strategic for you! In the Media Magic 2-Day Workshop, we’re going to show you how to go from “best-kept-secret” to easily generating your own PR buzz & building a massive following! Learn how to get your own writing published on high-authority sites. This is a workshop style event! You will leave with your press-release and power bio in hand along with a PR plan and media opportunities to go after for your business! VIP participants will have an opportunity to set up laser-focused, 1-on-1 strategy sessions with our Media Magic mentors during and after the event AND will also have a special mentor lunch provided where breaking bread and breaking boundaries will go down! Don’t miss this incredible opportunity to learn how to gain massive free publicity for your business and get seen and be heard as the expert-in-your-industry that you are. General Admission (GA) Session Ends at 5:30pm both days. VIP strategy sessions are held from 5:30-6:30pm. In this 2 part workshop where you will develop an expert power bio using the 100 of the most powerful words that make you stand out. In addition to creating your own press release to be submitted to attract clients and showcase you for business growth. IMPORTANT - Sign up today to get the 13 - step expert power bio system with audio training to complete prior. Shannon Gronich has successfully attained over $3.1M in publicity and is known for having the "Million Dollar Rolodex" and teaching others how to do the same. She has trained and coached hundreds of individuals in marketing, business development and personal growth. Not only has she appeared on television, radio and in the press, Shannon has Co-Authored the "Law of Business Attraction - The Secret of Cooperative Success" an Amazon #1 best seller with T Harv Eker. Your logo is not your brand and PR doesn't stand for "press release." Building a strong public relations strategy will help you connect with the right media to reach your target audiences, build affinity and create raving fans! In this workshop you will discover the value of strategic public relations to build your brand and grow your business. Learn the difference between public relations and marketing, what are the components of a successful PR plan, and the value of building relations with traditional and digital media. Geo Ropert is the founder and president of Ropert and Partners Public Relations. He is a nationally-accredited, award-winning public relations and marketing professional, with a diverse background and over 25 years’ experience in both the public and private sectors. Geo has held senior management and executive level positions in sales, marketing, public relations and government affairs. 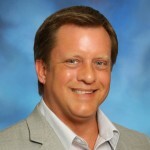 His knowledge and skills have helped businesses, associations and charitable organizations across the U.S. launch unique brands, build strong client and stakeholder relationships, increase revenue, and raise awareness and resources for important initiatives and causes. He is a member of the board of governors of the National Association of Nonprofit Organizations and Executives and serves as chairman of the Government Affairs Committee and a member of the board of directors of the Cocoa Beach Regional Chamber of Commerce. Previously, he served on the board of LEAD Brevard and is past chairman of the Space Coast Growth Management Coalition, as well the Florida Coalition for Children’s statewide Communication Workgroup. A native of Michigan, Geo currently resides in Viera, Florida and considers the Space Coast the greatest place in the world to live, work and play! In this hands-on workshop, you will develop your own customized sales script to double your closing ratio on your strategy session calls. Using a proven closing script, your customers will move from a curious prospect to a committed client in one phone call. Jon Davis has been closing strategy sessions and high dollar deals for the last 15 years. As The Product Coach, he helped over 200 authors, speakers, trainers and coaches to create and market their information products that were sold on stage, in online sales funnels and as upsells for their live events. His energy and enthusiasm when it comes to getting the deal closed will rub off on you and you'll start to see sales results in your business because you know exactly how the sales conversation should go. Founder of The Bridge Builder Society - the industry-leading gathering place for joint venture consultants, deal makers and strategists. Get Massive Media Exposure with Podcasts and TV to Get More Influence, Impact, and Income! Tamara "Tami" Patzer is a No. 1 International best-selling author, publisher, and video producer at Blue Ocean Authority. 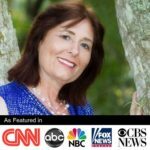 Tami has shared her massive media exposure message at Harvard Faculty Club, NASDAQ, Coca-Cola, and Microsoft, as well as, University of South Florida, Gulf Coast University, State College of Florida, with hundreds of professionals, entrepreneurs, and journalists. She is the creator of Women Innovators Publishing with its award-winning sister podcast Women Innovators on iHeart Radio, iTunes, Stitcher, Spreaker, BlogTalk Radio and Chicago WCKG Radio. Tami produces and hosts the Daily Success™ Network with shows including Optimal Health Radio, Spiritual Destinations, The Thought Leaders Show, and Daily Success™ Word of the Day. She works with authors, influencers, innovators, and trendsetters to Get Massive Media Exposure. 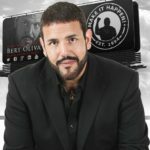 Bert Oliva takes you through solutions to shorten the sales cycle, build relationships and maintain them through social media channels, engage discussions for lead generation, key in on the power of words and ultimately ask for the close. He helps the audience learn to strategize how to market themselves on social media and become part of the 90% of top performing sales people that use social media that outsell their peers. Bert Oliva, CEO/Founder of BOWAworld, is a world-renowned public speaker, author and corporate trainer. 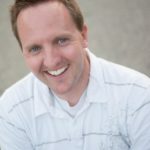 He has received international recognition for delivering "how to" techniques with a high-energy message; showing people how to communicate more positively and powerfully. His passion is in teaching and transforming how employees, management professionals and leadership teams communicate to get their bottom line up. SPECIAL THANK TO OUR SPONSOR - Marketing Partners LLC. David J Dunworth , David is a senior marketing executive and Certified Magnetic Marketing Advisor of the Glazer Kennedy Insider’s Circle, and Founder of Marketing Partners, an international marketing advisory services firm. Business Acceleration Network is bringing together conscious business owners; creating a global network of contacts and resources by providing innovative educational programs, expert advice, and collective business solutions.